Each episode is around five minutes and comes from a different contributor. This was the final week of the project for this year, and I am so deeply grateful to everyone who submitted episodes and who listened to the podcast. The Feast of St. Joseph - David Ouzts, Minister of Music and Liturgy at Church of the Holy Communion, Memphis, Tenn., on "By the Creator, Joseph was appointed," a hymn specifically included for the Feast of St. Joseph in the Hymnal 1982. Tuesday - Alec Peters, a member of West Raliegh Presbyterian Church in Raleigh, N.C., on "What wondrous love is this". Wednesday - Suzanne Daniel, Organist and Choir Director at Grace, Yorktown, Va., on "A stable lamp is lighted". Thursday - The Rev. Ian Lasch, Associate Rector at St. Peter's, St. Louis, Mo. and co-host of the podcast "All Things Rite & Musical", on "Sing, my tongue, the glorious battle". Friday - Westley Hodges, Director of Music at the Annunciation of Our Lady, Gurnee, Ill. and co-editor of Church Music Forward, on "Now let us rise and hymn the grace". 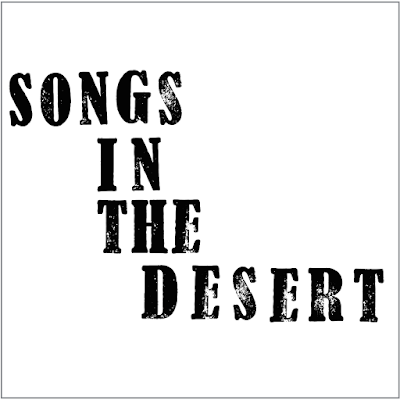 If you would, please take two minutes to complete our Songs in the Desert listener survey. We'd love to know what you've thought of this project.